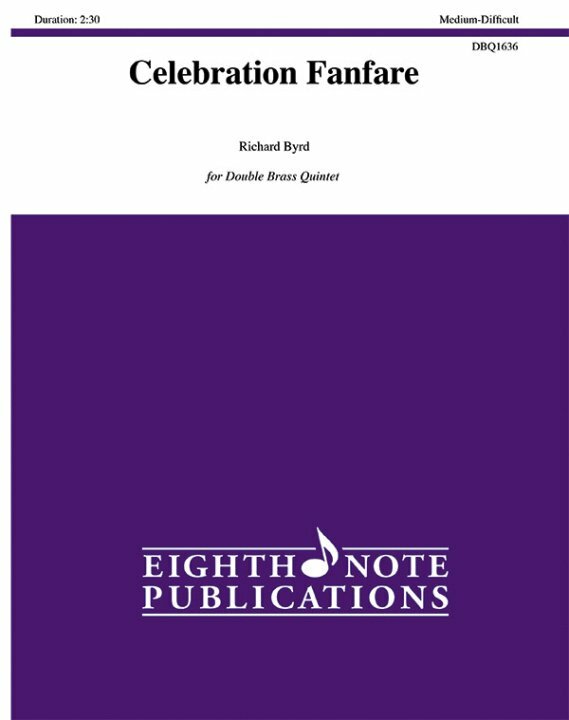 "Celebration Fanfare" by Richard Byrd features a spirited antiphonal theme juxtaposed with an enchanting lyrical theme and mixed meter transitions interspersed throughout. 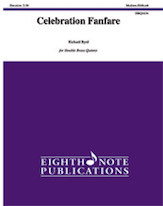 This energetic composition is fun to perform and enjoyable to hear, and is ideal for competitions, conference preludes, and engaging concert programs. The percussion parts add excitement and color to the piece but are optional if none are available.